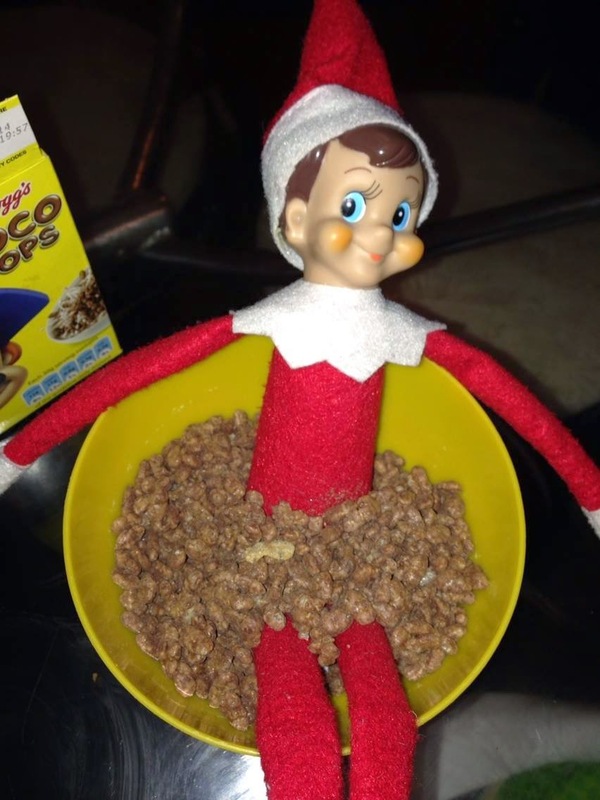 Do you love elf on the shelf? 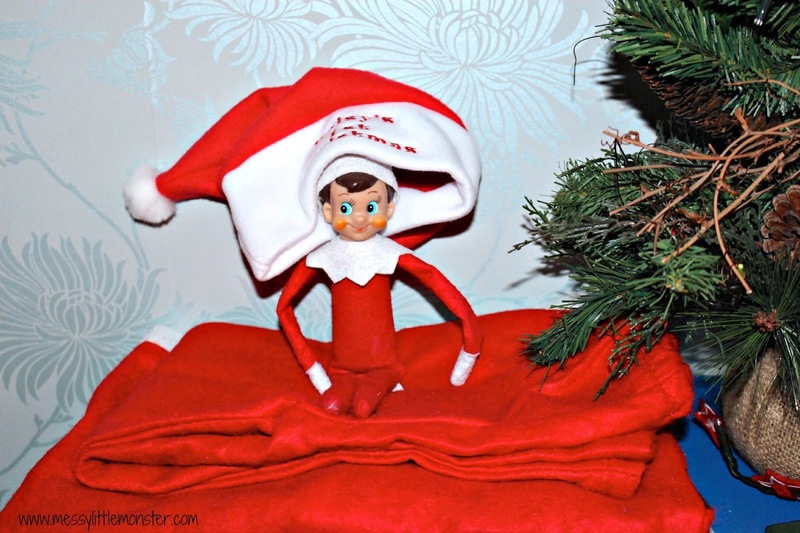 Here is a collecton of 24 fun elf on the shelf ideas to see you through advent right up until Christmas Eve. 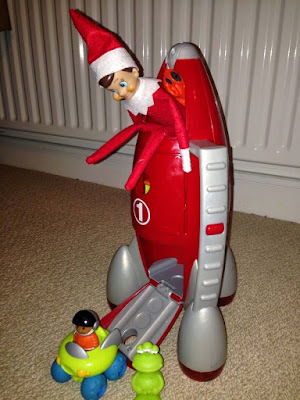 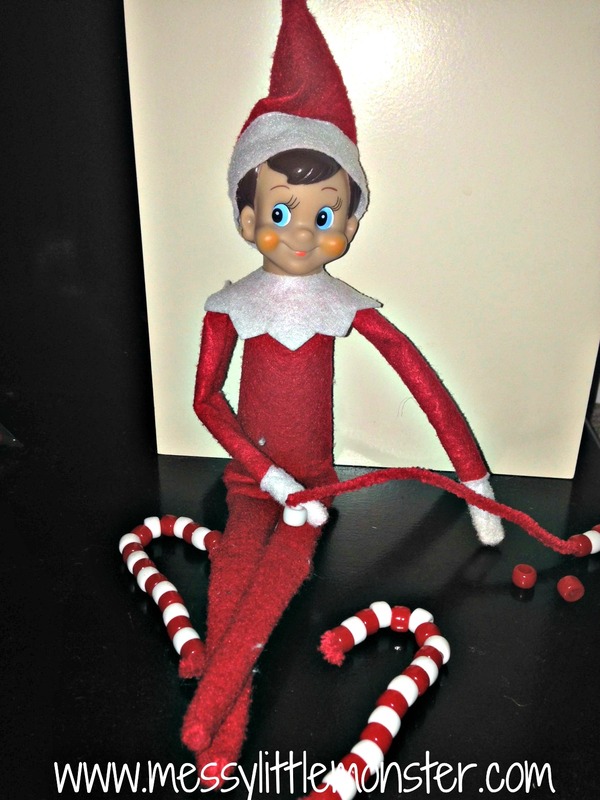 We cant wait for our elf's arrival this Christmas. 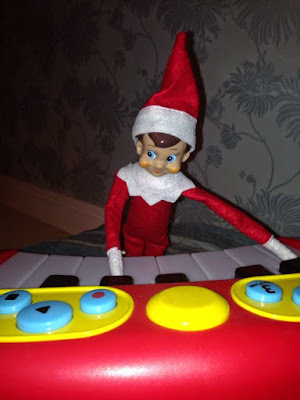 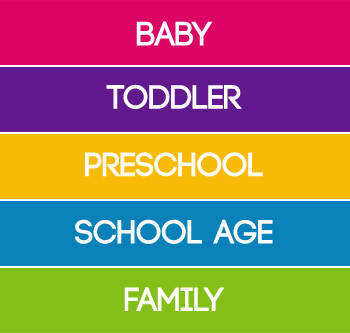 Scroll down to see a different elf on the shelf idea for each day of advent. 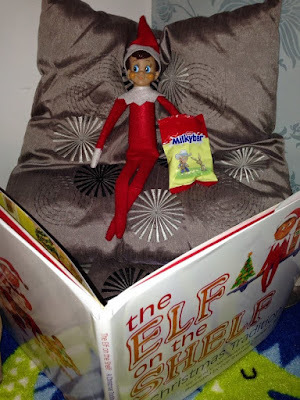 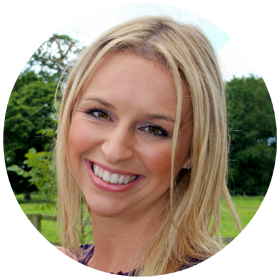 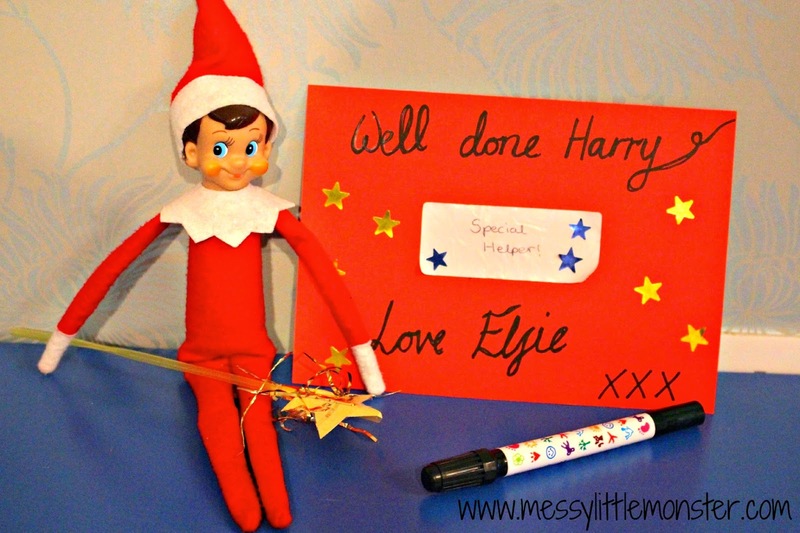 You might also want to take a look at our easy elf on the shelf ideas for those days when you need something quick! 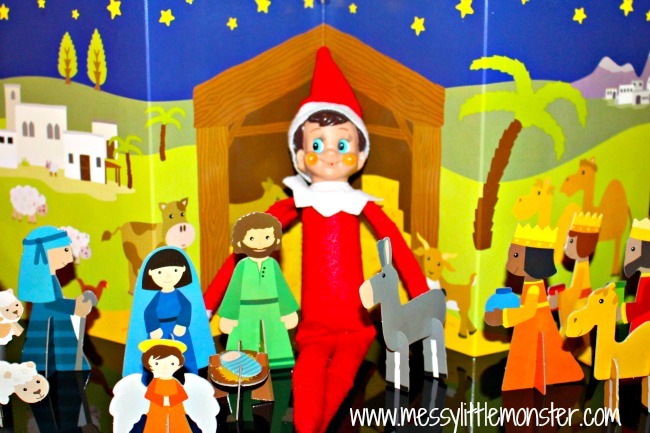 As an alternative to elf on the shelf you might want to also check out the kindness elves. Day 1: We are very excited! Elfie has arrived through his magic elf door and left Harry & Daisy an advent calendar full of chocolate stars. 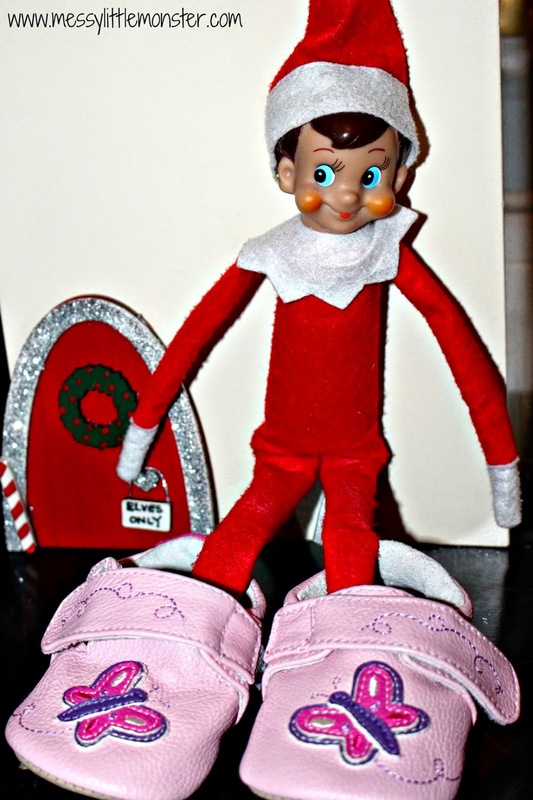 Day 7: Oh the perfect pair of new shoes! 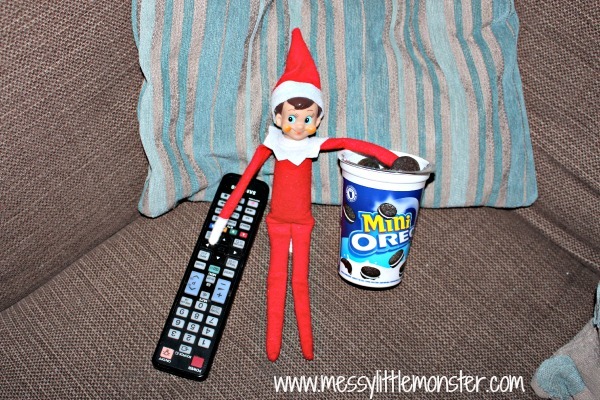 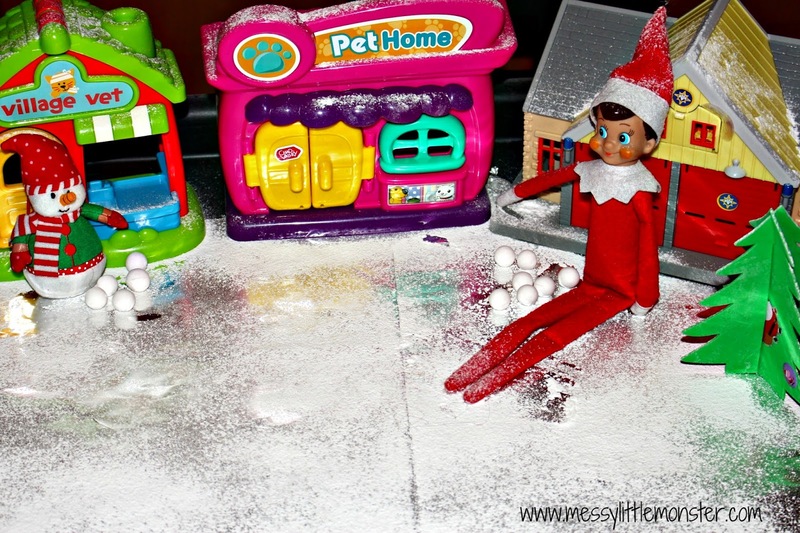 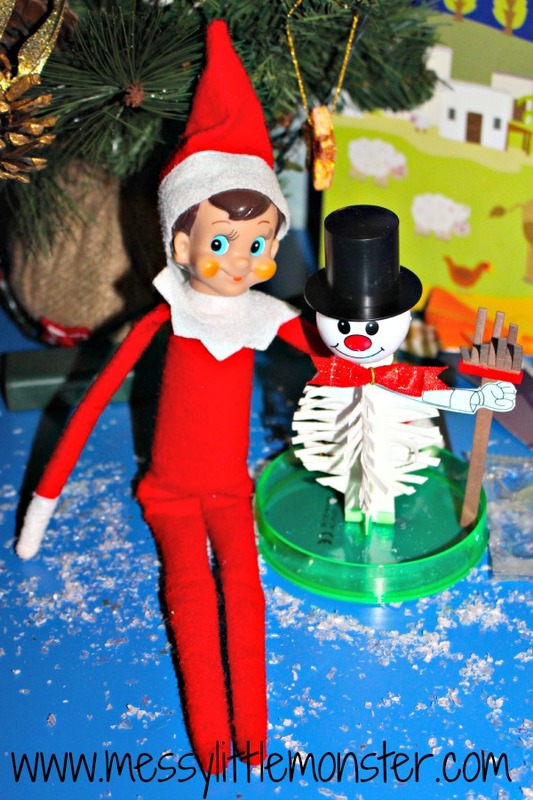 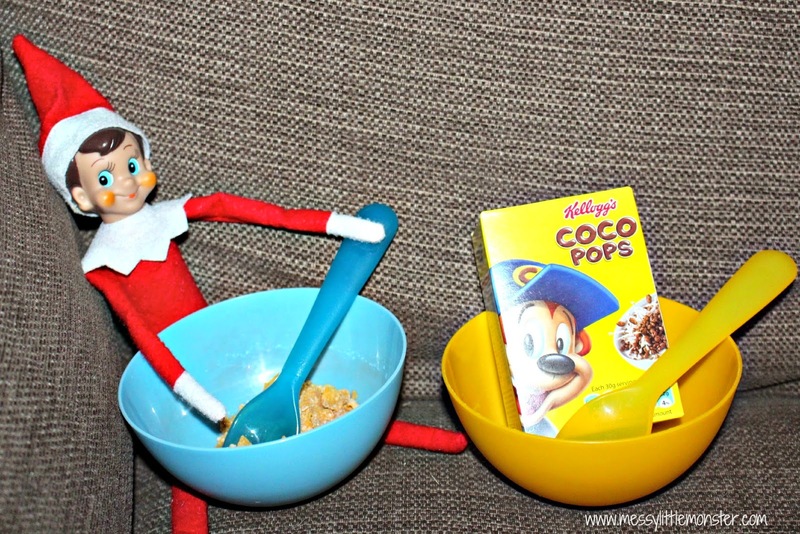 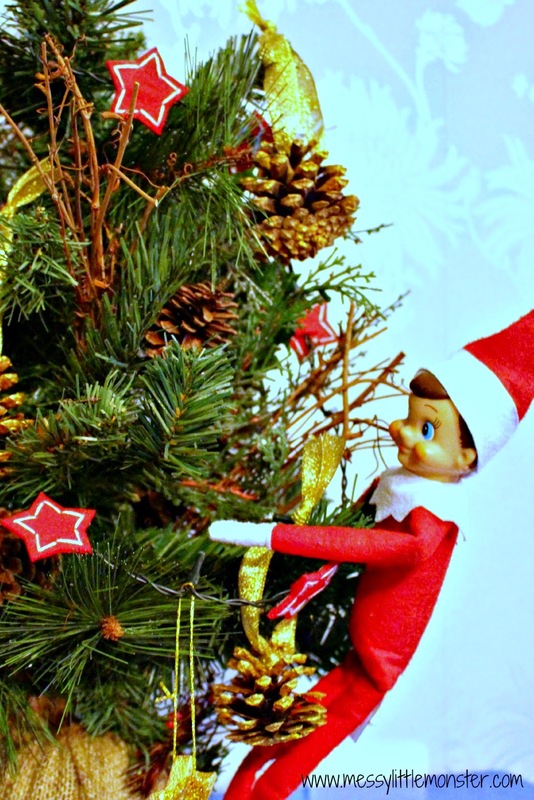 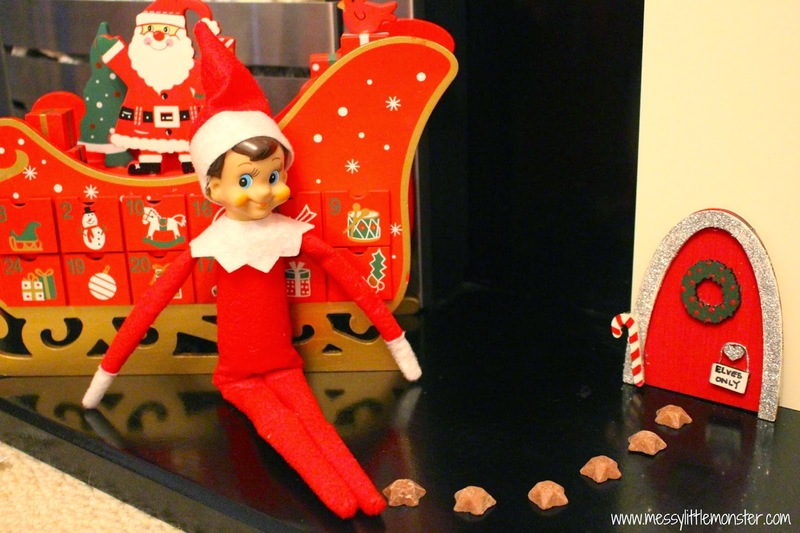 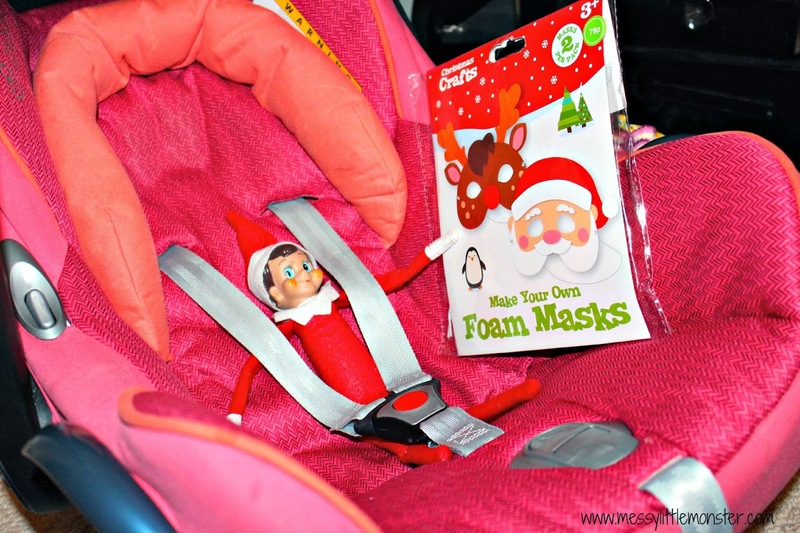 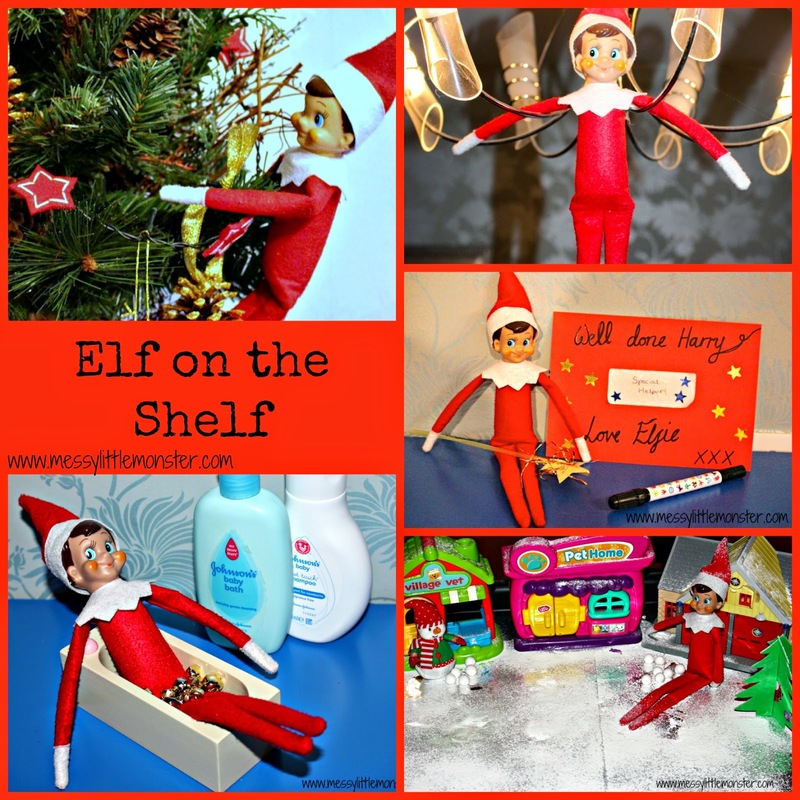 Have fun with these elf on the shelf ideas. 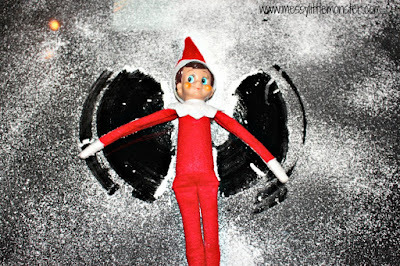 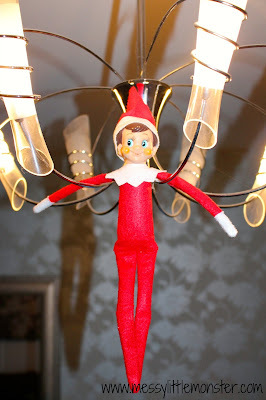 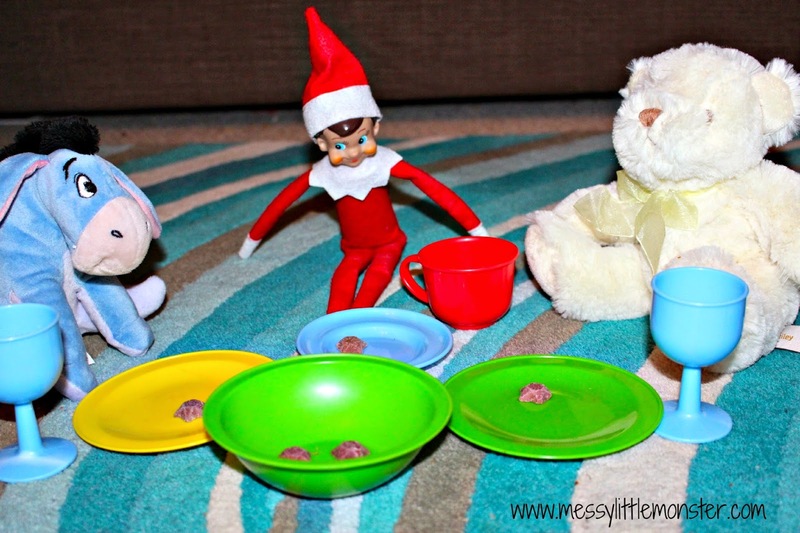 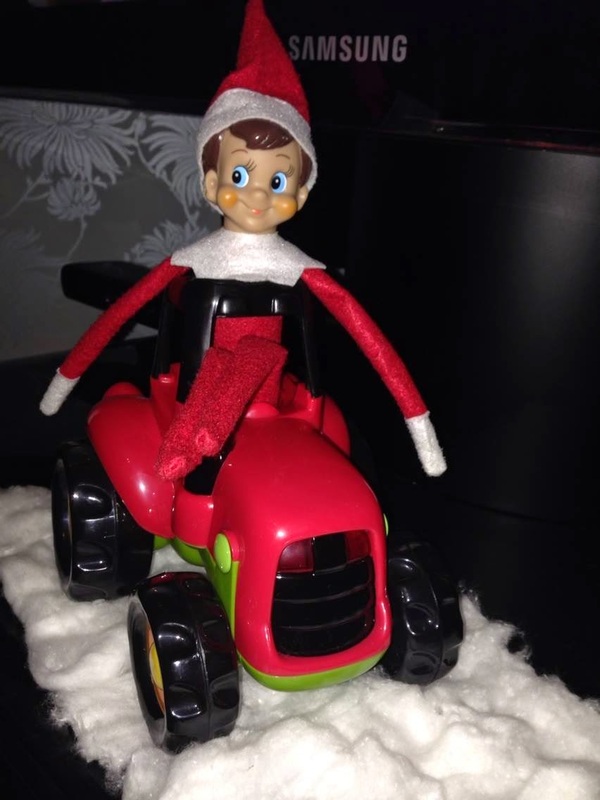 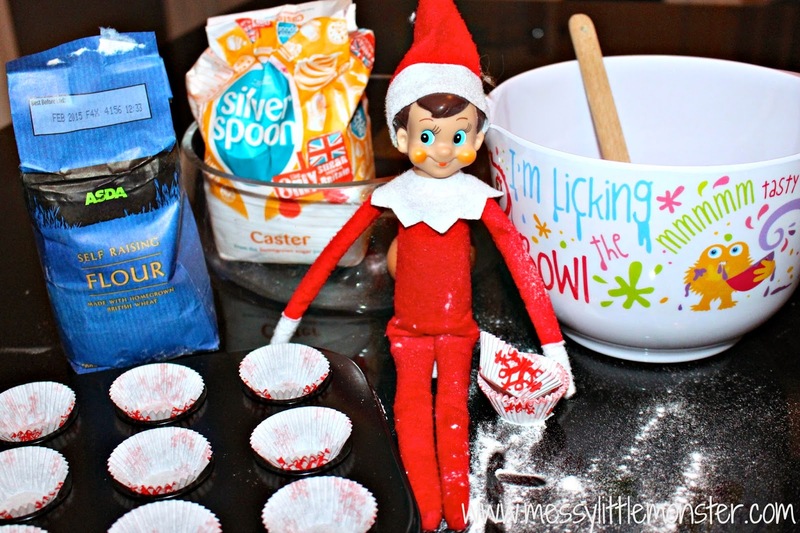 If you need more ideas take a look at our easy elf on the shelf ideas and elf craft. 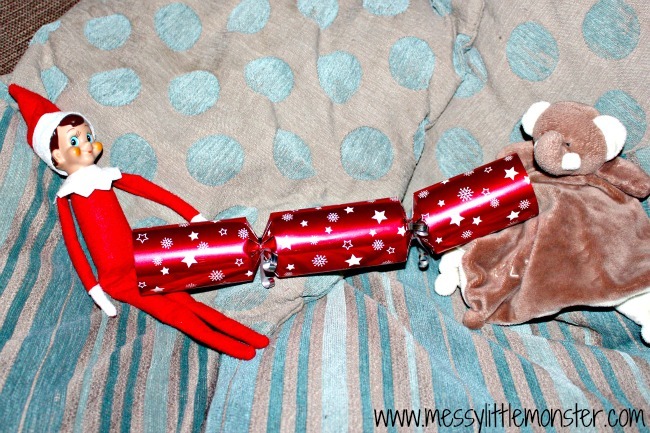 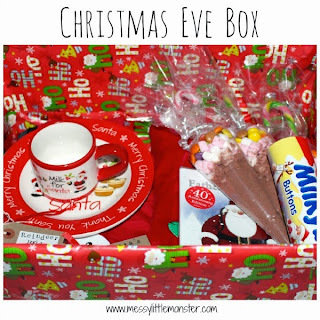 We have lots of fun and easy Christmas crafts for you to try too!